Renewable portfolio standards (RPS) are the most common state-level policies for promoting renewable electricity in the United States. State RPS policies are heterogeneously designed, particularly with respect to their use of flexibility mechanisms that allow obligations to be met with renewable energy generated in other states. However, the renewable energy that is produced within an RPS-enacting state itself is of high political importance, making in-state renewable energy deployment an important evaluation metric for RPS policies. In this paper, we develop a novel dataset of state-level RPS policies and renewable energy deployment. We show that failing to effectively limit comparisons to similarly designed RPS policies may lead to the misperception that more stringent RPS policies do not necessarily lead to higher renewable deployment. We then show that after controlling for specific policy design features, states with more stringent RPS policies tend to have greater in-state renewable energy deployment. Specifically, we find that a 1 percentage point increase in the stringency of an RPS policy is associated with a 0.28-0.29 percentage point increase in the share of in-state renewable electricity capacity. Articulate modeling of policy variety has been largely lacking from past studies and is essential for accurate econometric analysis of heterogeneous energy policies. 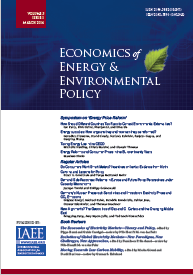 Published in Volume 4, Number 2 of The Quarterly Journal of the IAEE's Energy Economics Education Foundation.